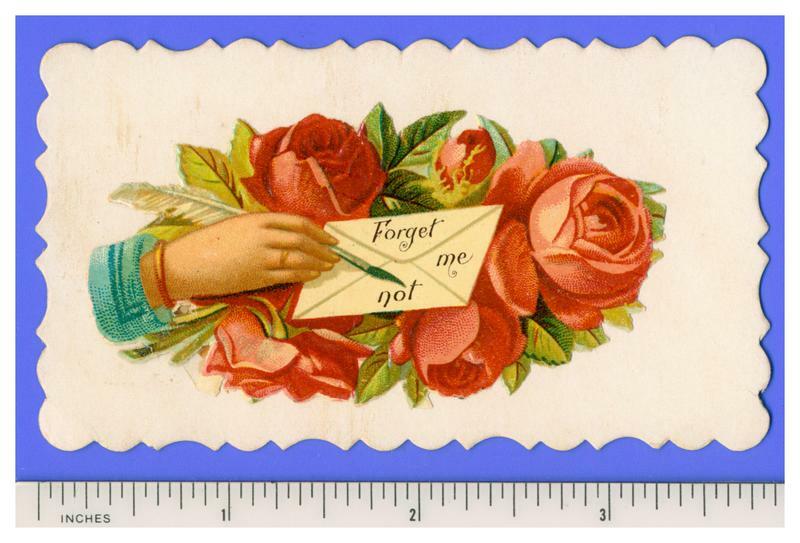 The die-cut scrap is brightly colored and embossed, showing a man's hand holding a quill pen and writing on an envelope that is nested on red roses. It is affixed to a card with scalloped edges that measures approximately 3-7/8 x 2-1/8 inches. The visitor's name is printed on the card under the scrap. The card has minor edge wear and is slightly bent at the lower right corner. The scrap has only slight wear (see images).